I'm a book lover. There's nothing that makes me happier than being right in the middle of a book I can't stop thinking about when I'm away from it. Books make my world broader- by the places they take me,the characters they introduce me to, and the topics they make me think about. My life is richer because of books. I don't know what I would do without them, really. But being a book lover doesn't mean I love all the books that I open. Sometimes, I begin reading a book with great intentions of liking it, maybe even loving it~ but then, at a certain point, for whatever reason, if I'm not enjoying my time with it, I bail. I don't abandon every book that doesn't grab my interest from the start. 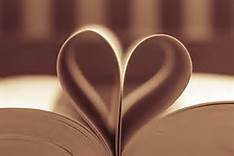 And I don't have to love everything about a book to read it to completion. I don't have to love the characters. It doesn't have to be my favorite genre. It doesn't have to be one I "just can't put down". It doesn't have to be a book I'll remember for years. It doesn't even have to be a book I'd recommend to other people. If I keep wanting to pick up the book and read it, I do. But if I'm feeling bored or restless with it, I'm out. After years and years of being an avid reader, I realize sometimes abandoning a book I don't like is the best thing I can do to honor my love affair with reading. 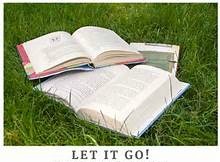 It took me years to understand that's it's okay to LET IT GO, when it comes to books. And when I say let it go, I mean: Put it down, walk away, don't look back, and don't feel guilty for leaving it behind. I don't have a hard and fast rule as to when to abandon a book. I'll stick for a while, but at a certain point I just know it's time to say, "Nope. You're not for me", and move on to the next one. There's too many great books to get hung up on one that bums me out, and slows me down. By abandoning books I don't like, I'm making more time and room for the ones I will like. I think people that claim "I don't like to read"- (they exist! I actually know some of them!) just haven't found the right books yet. Maybe they've let themselves get bogged down by a few books that just weren't for them, and now, they think they don't like reading. That's why it's okay to bail on a book you're not enjoying. Just let that one go. But please, pick up another one. It's worth it when you find one you love.